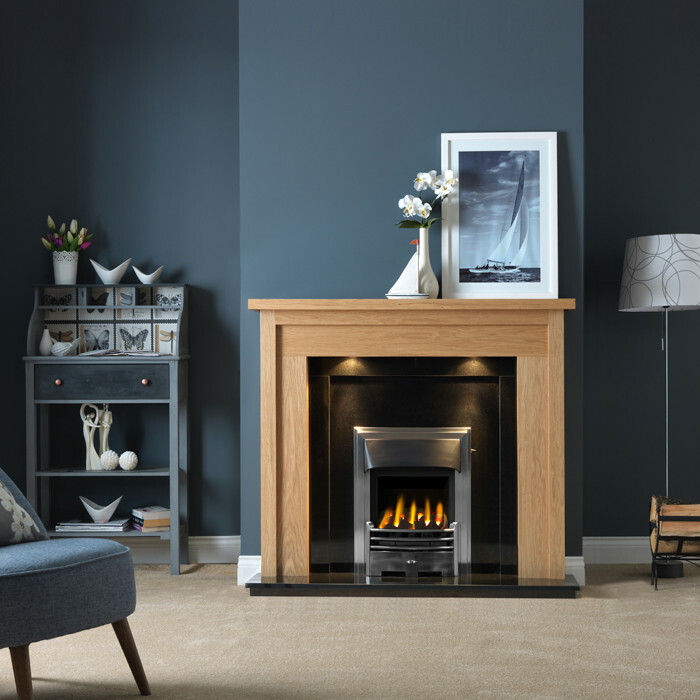 The Gallery Askham Light Oak finish fireplace suite consists of 1 x Askham 54" light oak finish surround, 1 x Ebony granite back panel and hearth and optional Gallery Baltimore convector gas fire. 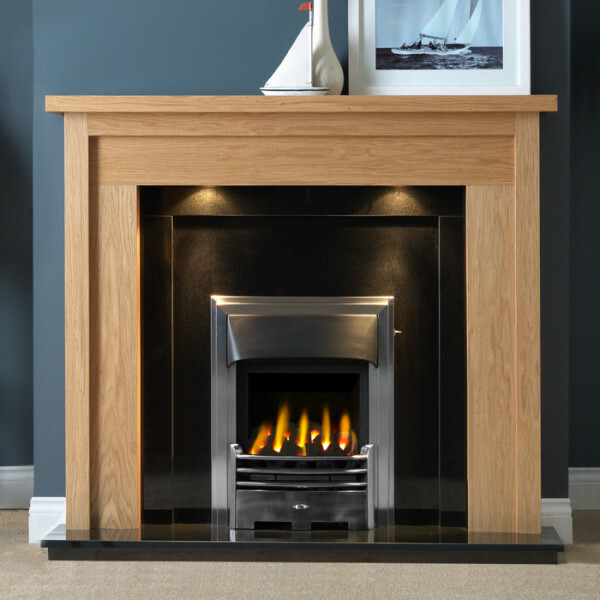 The Gallery Askham 54" surround is made from MDF with a light oak veneer finish and includes recessed twin spot feature lights. 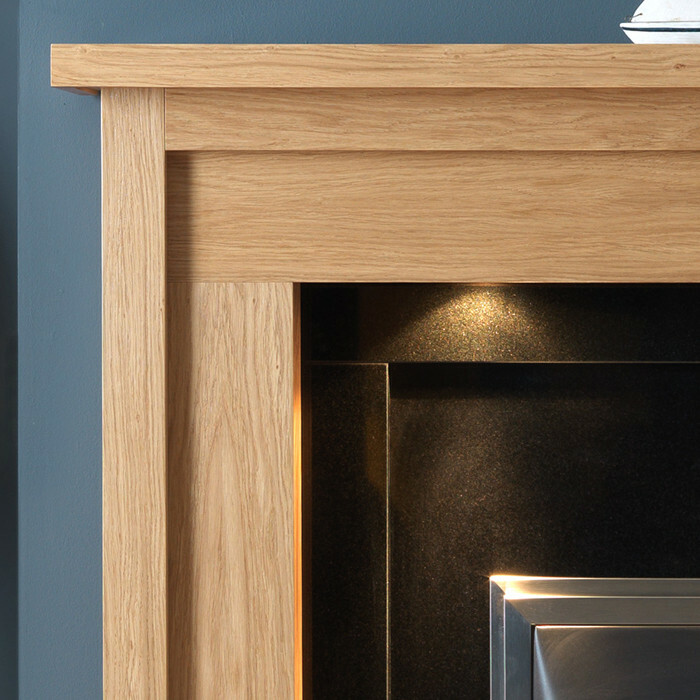 The ebony granite back panel features stepped horizontal detail and has a smooth polished surface for easy cleaning and a consistent colour. 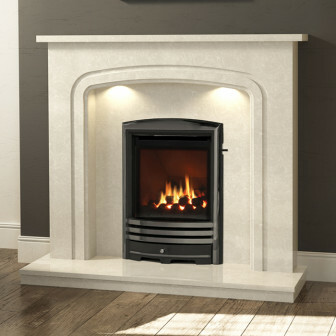 The Gallery Baltimore convector gas fire is available in either a full depth open fronted or high efficiency glass fronted model and has an output of up to 4kW. 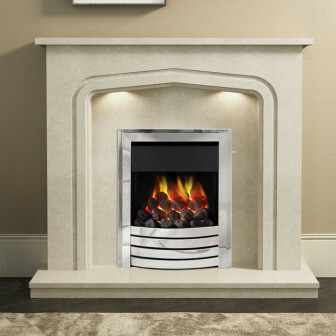 All models of this fire come with slide control to the top right of the fire.